Tan Dun, already a respected contemporary classical composer of symphonic concertos, chamber pieces and opera music in the East, finally got the biggest break of his career with his Oscar-winning score to Lee Ang’s Crouching Tiger, Hidden Dragon (2000), giving him more mainstream exposure internationally, particularly in the States. To come out tops (deservingly, if I may add) in a category with veterans such as Ennio Morricone (Malena), John Williams (The Patriot) and Hans Zimmer (Gladiator) competing that year, Tan’s accomplishment is no small matter – he brings traditional Chinese ethnic music to the fore, arranges it with symphonic appeal, and employs the cello (by Yo-Yo Ma no less) to astonishing effect. In his score to Crouching Tiger, Hidden Dragon, Tan brings an otherworldly Oriental mysticism through his use of instruments like the er-hu (a two-stringed Chinese violin) and Chinese drums, and percussion styles heavily influenced by the music of the northwest ‘Xinjiang’ region (home to many ethnic minorities) etc., transporting us to a world of another time. 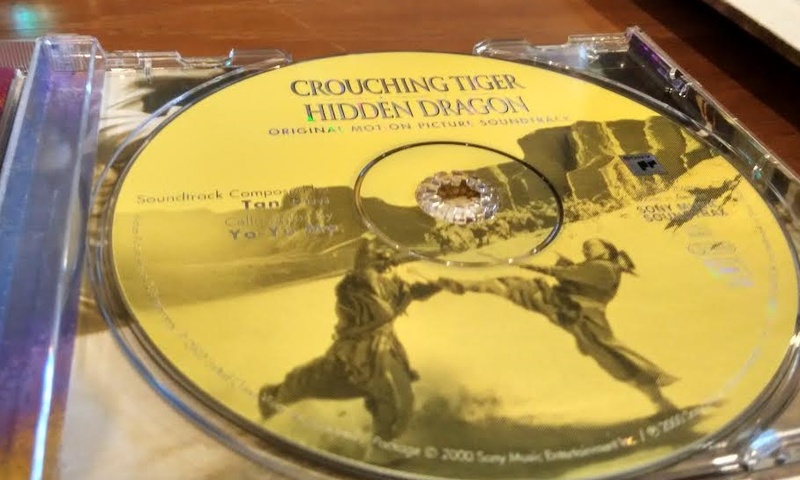 The film is the first and most successful modern update of the Chinese ‘wuxia’ movie, and its accompanying music is surely one of the finest scores to come out at the turn of the century. ‘Night Fight’ – A percussion-laden track with some of the most stunning drumming in film music. Accompanying the night fight-chase between Zhang Ziyi’s and Michelle Yeoh’s characters, the rhythmic drumming gives the sequence tremendous energy, while also creating tension when the drumming slows and pauses. ‘Desert Capriccio’ – Standout track for Yo-Yo Ma to flaunt his mastery of the cello, accompanied by hand drumming on ethnic percussion. Possibly the best track of the album. ‘Farewell’ – The finale track reprises the mesmerizing if elegiac main theme performed on cello, with background drumming that grows more prominent. Also accompanied by er-hu and strings. In the last scene, we see Zhang Ziyi’s character jump off a bridge and soar into the clouds. This is the music that captures the essence of the film – its beauty, melancholy and grace. ‘A Love Before Time (Mandarin)’ – The Oscar-nominated song comes in both English and Mandarin lyrics, but the latter is the more authentic version. Both are sung by Hong Kong-born American artiste CoCo Lee with aplomb, with background vocals providing dynamic accompaniment.